August 2- SRP activity is our Water Party! Wear your swim suits and bring a towel. August 4- SRP activity is our Water Party! Wear your swim suits and bring a towel. August 5- Last day to get prizes and turn in Family Challenge! August 17- Back-to-School pool party at Andale. 6:30-8:30. EVERYONE IS INVITED! This week for Summer Reading Program children will be making crafts! Including: bendaroos, perler beads, build a glider, duct tape bookmark and many more! See you Wednesday or Friday morning! May 18- Spring Planting Day and picnic. 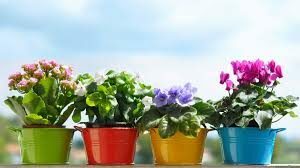 Bring a pot and we’ll give you flowers and soil to fill it up. Also, don’t forget to bring a picnic lunch, dessert will be provided! We have lots of fun things to do at the Library in the coming weeks! Mark your calendars! This is an opportunity to let out your inner Bob Ross with the guidance of a professional. Everything you need will be supplied. This is a RSVP event and seating is limited. Bedtime Storytime will resume soon. We read a couple stories and everyone is invited to wear PJ’s. Look out for STEM learning opportunities with our Lego and Electric Circuit clubs. Have you ever wondered what the amazing Cricut machine is? 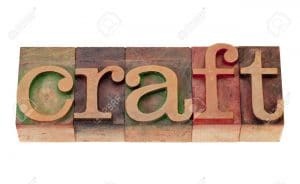 Come find out at one of our Cricut Craft Days. If you have any questions about these or any other events, call us at 796-1521! 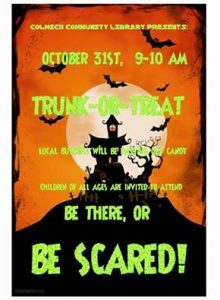 Please join us on October 31, from 9-10 am for Trunk-or-Treat! 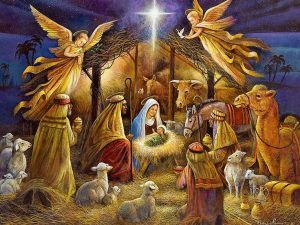 ALL children are invited to take part in this new event. The road in front of the library will be closed and many local businesses will be passing out candy. 3rd Annual Cake Decorating Contest! This is an after school program that will run from September through November. 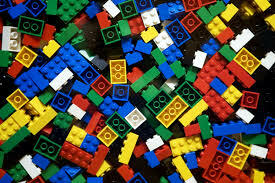 “Playing” with Legos teaches basic science and math concepts and also boosts creativity. Please stop in the library to sign up, deadline is September 15. Space is limited!!! We ask participants to be at least in the third grade. Meetings will be after school on the first and third Fridays of the month and will be from 4:15-5:15 pm. Don’t hesitate to call with any questions!